HJ Heinz, Sprint and Bausch + Lomb were the most expensive brands acquired globally last year, according to the latest Top 20 brands list from trademark database manager, Markables. The global list is based on the value an acquirer attributes to the brand in the purchase accounting process, and as part of the price paid to gain control of the total business and its assets. Markables said it sources the figures from reported financials of listed companies worldwide. In the lead in 2013 was HJ Heinz, which includes the Heinz Ketchup, Lea & Perrin and Master brands. The brand portfolio was valued at US$12.13 billion when acquired by a consortium including Berkshire Hathaway and 3G Capital in a US$28bn deal completed in June 2013. US telecommunications company, Sprint, took second position on the list after being acquired by Japanese-based Softbank Group for US$22 billion last year. Its brand value was listed as US$6.45bn. In third place was US-based eye health company, Bausch + Lomb, which operates in the pharmaceutical, vision care and surgical segments. It was acquired by Canadian-based Valeant Pharmaceuticals in August last year for US$4.5bn in cash as well as assuming $4.2bn worth of debt. The company’s brand value was US$3.46bn. Rounding out the top five were Crown Imports (Corona), owned formerly by Grupo Modelo SAB de CV and acquired by Constellation Brands in a deal completed in June 2013 with a brand value of US$2.3bn; and Swedish retailer ICA, with a brand value of US$1.87bn. The latter was acquired by Sweden’s Hakon Invest for US$3.1bn in early 2013. Markables said the value of the 20 brands traded in 2013 totalled US$34.1bn, down from the US$43.6bn recorded in 2012 but close to the US$36.4bn recorded in 2011. On average, brand assets represented 34 per cent of the total value assigned to these organisations when acquired. The brand assigned the most value across the list was Italian luxury jewellery brand, Pomellato (74 per cent). Markables also looked at the brand profit margin or brand premium of each of these companies and found that 8 per cent of revenue on avenue is profit directly attributable to the brand. The figure was lower than that recorded in 2012 but higher than 2010 and 2011, the company stated. The highest brand premiums (20 per cent) were recorded at Italian luxury cashmere clothing group, Loro Piana, Internet metasearch engine, Kayak, and salad dressing producer, Wish-Bone. The ‘brand champions’, or those listed brands demonstrating the highest value in terms of profit contribution and value, were Loro Piana and Wish-bone. “The economics of brands embedded within all the other assets of an enterprise is a phenomenon which is still little understood. Acquisition accounting is a good way to measure and analyse brand value and its contribution to an enterprise,” said partner and co-founder of Markables, Stefan Russli. Markables also pointed out the list represented brands at the premium end of the scale. 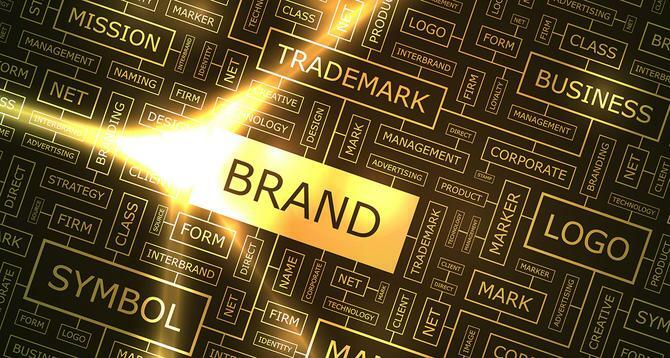 Across the 6000 brands on its trademark database, brand value accounts for an average 14 per cent of enterprise value and generates a brand premium of 3.3 per cent of revenue, the company said.